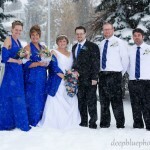 Pam and Jay had the most spectacular winter wedding Edmonton has ever seen. 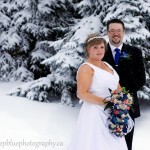 The morning of their wedding a blizzard rolled in and delivered nearly two feet of fluffy white snow! 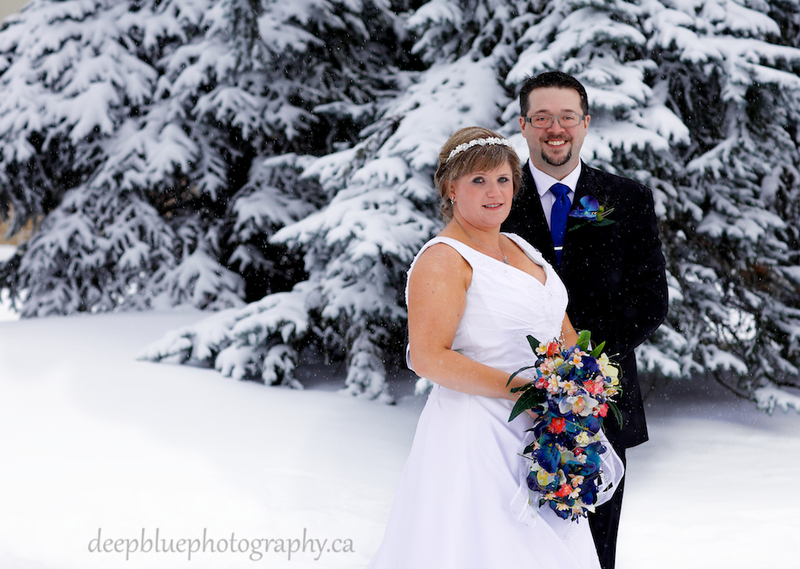 We first met Jay and Pam on a snowy November afternoon, and they were smitten – with each other and the idea of having a snowy November wedding. 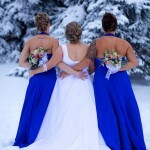 Pam kept her fingers crossed that they would get the beautiful snowy wedding of their dreams…the only problem is that Pam forgot to specify how much snow they wanted. 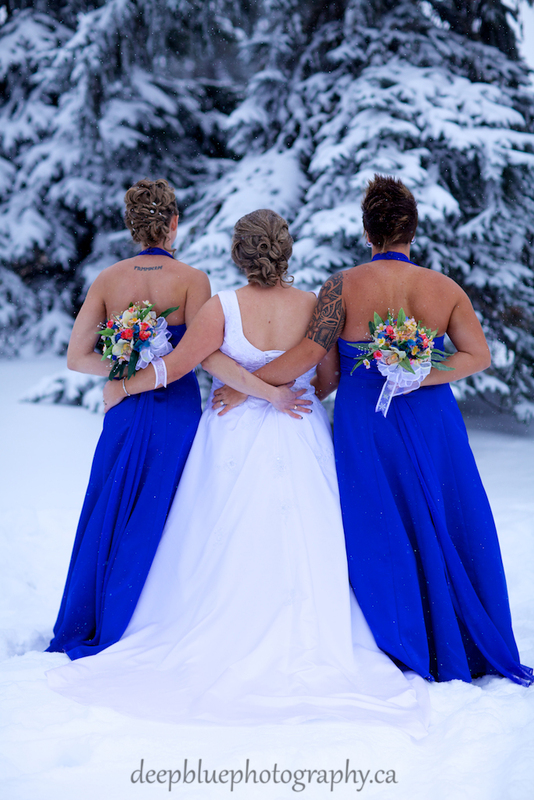 November 16th was a day to remember – a beautiful white winter wedding thanks to an epic Edmonton blizzard which settled in over the city and left us with nearly two-feet of fresh snow. 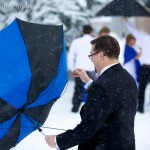 Thankfully the temperature was warm enough for us to spend the afternoon out in the snow storm capturing truly unique wedding portraits. 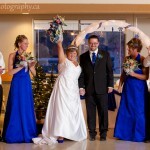 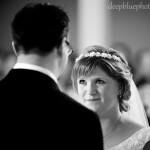 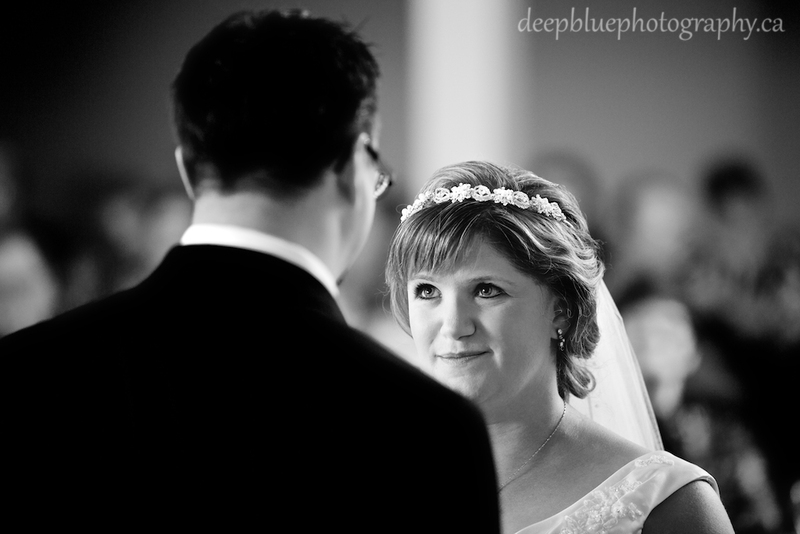 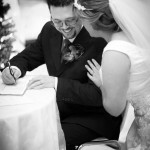 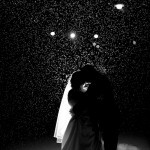 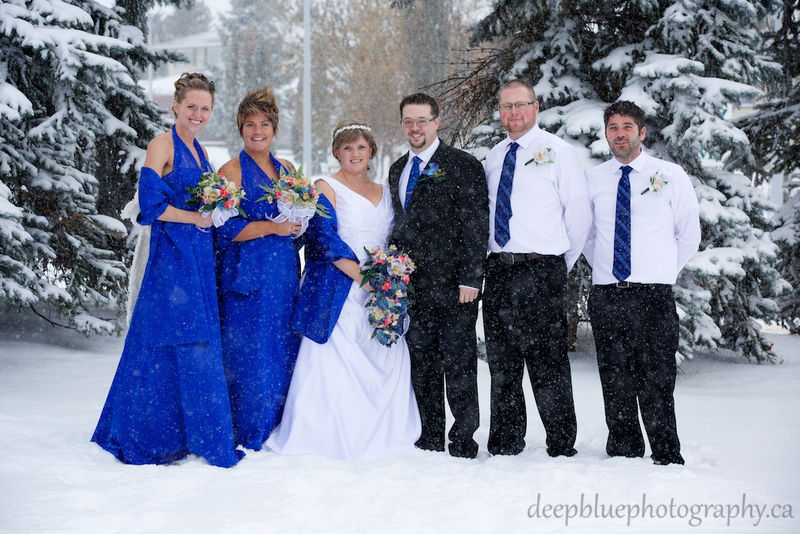 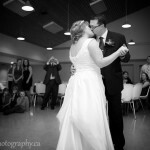 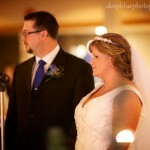 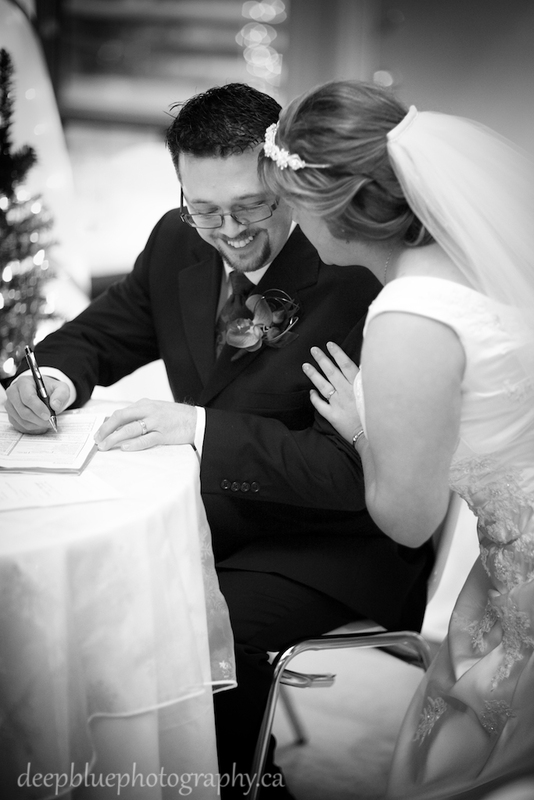 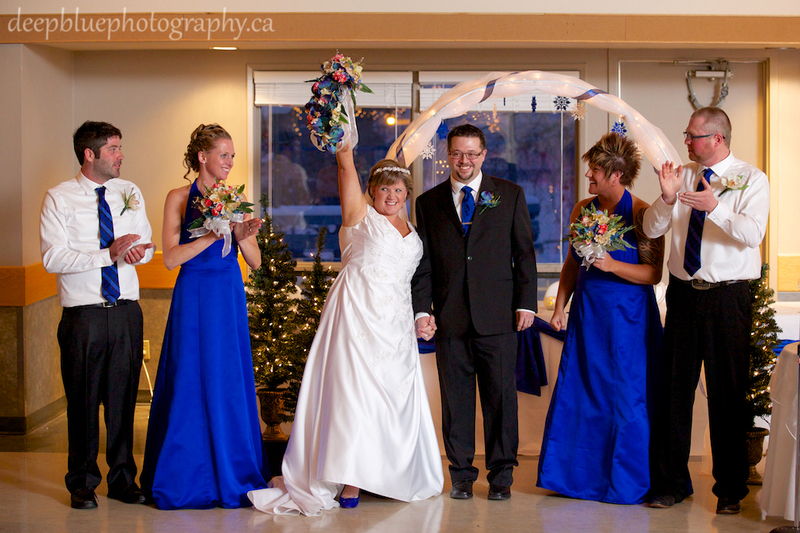 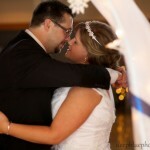 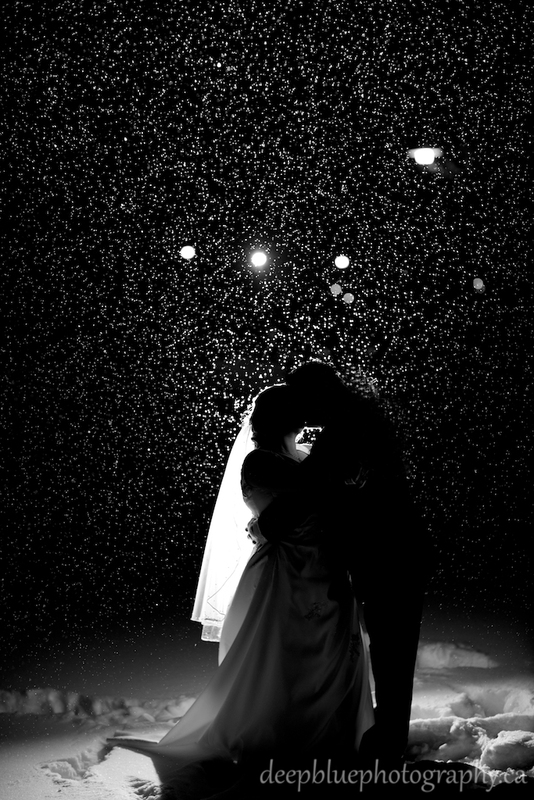 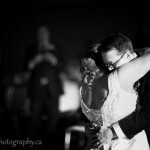 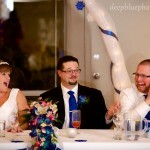 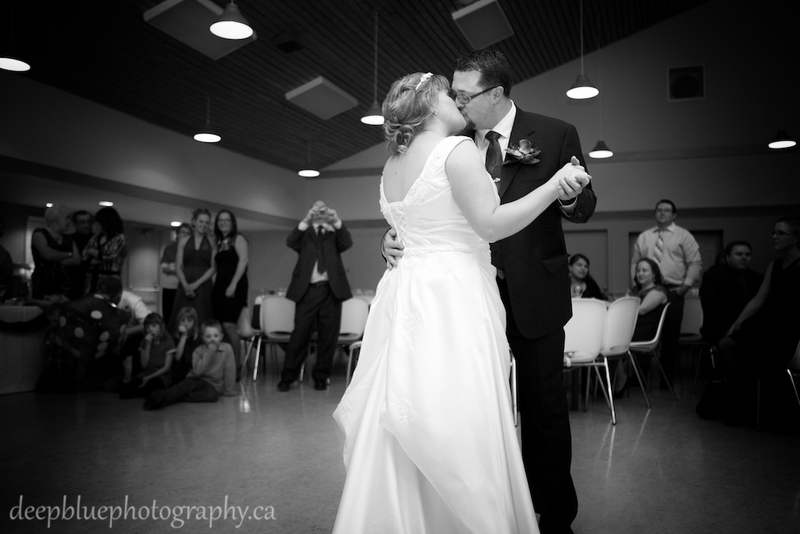 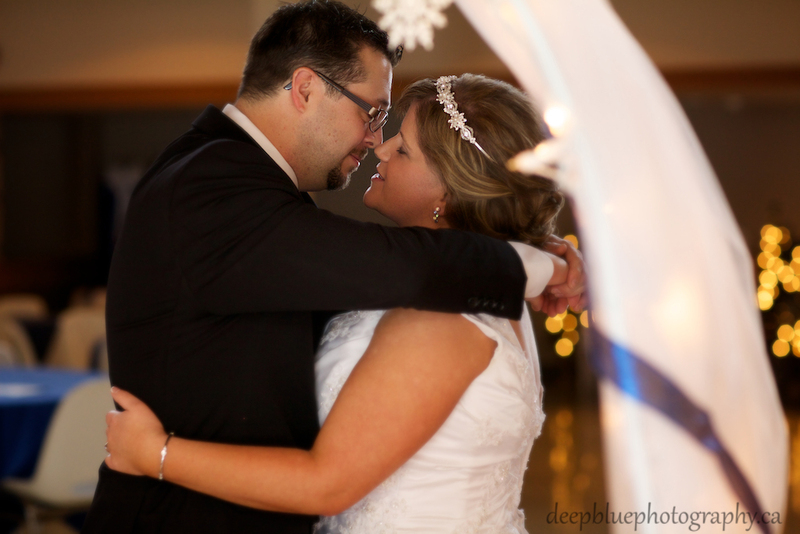 Congratulations again Jay & Pam, thank you for inviting Deep Blue Photography to capture your winter wedding Edmonton! 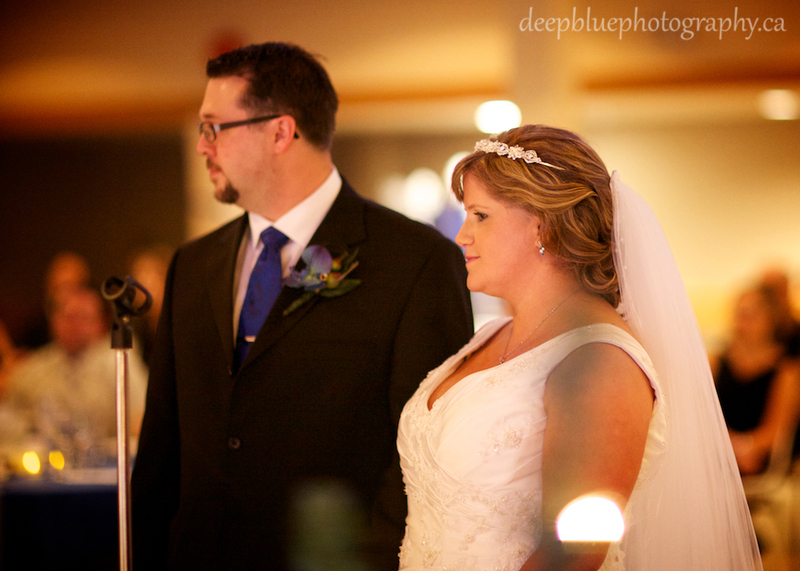 Jay and Pam shared their first look before the ceremony. 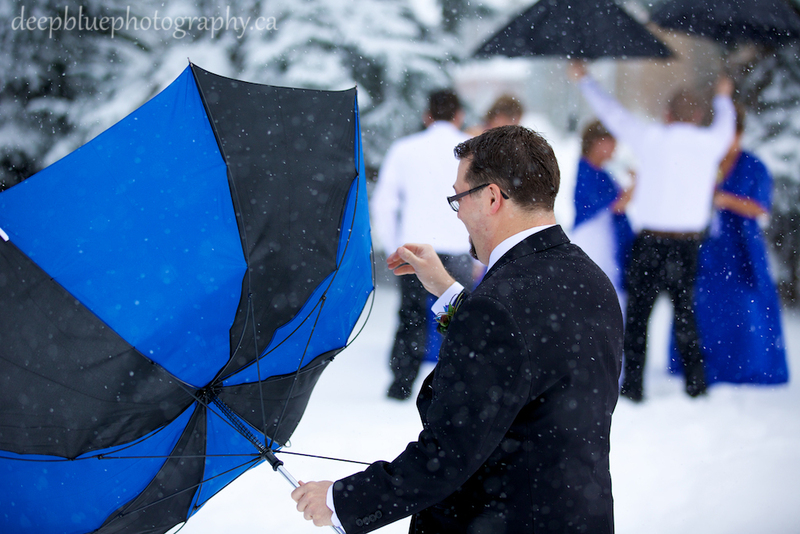 The snow was too much for this umbrella! 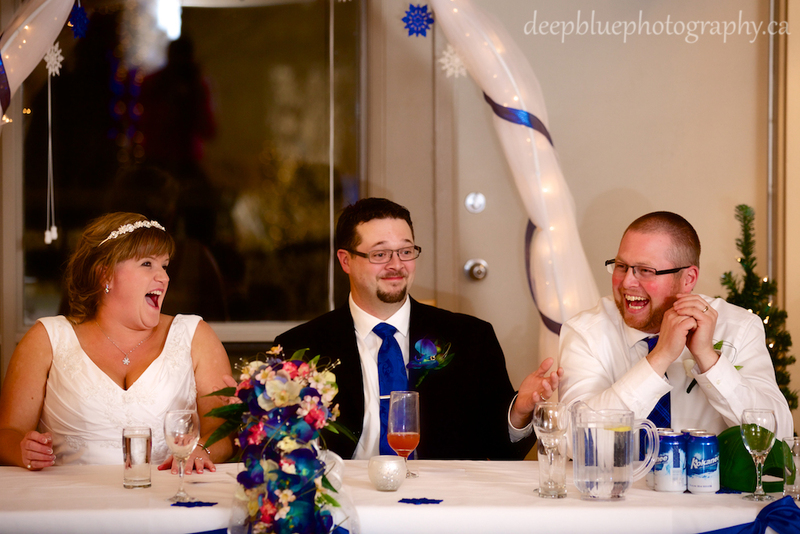 Pam and Jay had an audience! 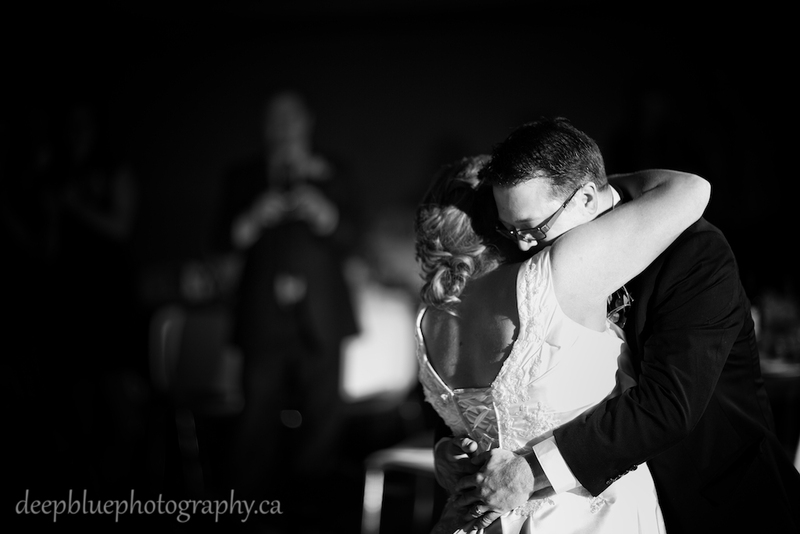 Last shot of the night!